Significant Growth in Homeschooling Market Drives Demand for Industry Trade Magazines. Johnson City, TN, October 02, 2018 — Homeschooling is once more on the rise and families are looking for resources to help them. Parents continue to seek reliable content to help them take charge of their children’s education, especially in the wake of school violence, bullying, and the failure of schools to meet academic standards. Parents also choose homeschooling as a way to pass on a legacy of faith and wholesome values. 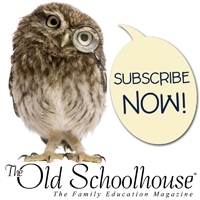 Prior to entering the digital age in 2012, The Old Schoolhouse® Magazine supported over 20,000 subscribers, in addition to sales through large retailers and bookstores. Since that time, The Old Schoolhouse® Magazine has been regularly read by over 90,000 families using the free apps and online.